There is no doubt that Cheltenham stands out as one of Britain’s finest cultural centres. Now it’s time to recognise the local brands, businesses and individuals responsible for defining the reputation of the town. Gloucestershire Live is launching the first Cheltenham Awards. Encompassing all industries, the Cheltenham Awards will recognise exceptional people involved in everything from education and community projects to hospitality and tourism. Then the very best will be celebrated at an awards evening which will bring together Cheltenham citizens from all walks of life. The event is headline sponsored by Lilian Faithfull Care, a charity providing care, support and a ‘home for life’ for the elderly in Gloucestershire. Chief executive Martin Hughes explained why they chose to be involved. “Our founder started our charity in 1946 and Lilian Faithfull Care has been integral to the community of Cheltenham for over 75 years. “We are proud to be a part of these awards recognising businesses and individuals in our town,” he said. You can nominate yourself or a Cheltenham hero you know at cheltenhamawards.co.uk Or purchase a ticket be a part of the inaugural event on 10 September, which is bound to be a tremendous debut. Outstanding Contribution to Cheltenham (Sponsored by CGT Lettings): This award will go to a person who has made a considerable and lasting contribution to Cheltenham. Retailer of the Year (Sponsored by Andrew Scott Designer Jewellery): This could be an independent trader, high street brand or stall holder who has really made a real impact on the town. 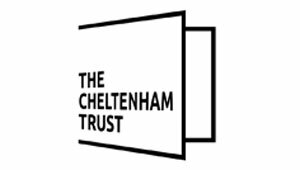 The Cheltenham Award for Hospitality, Leisure and Tourism: This category is open to any organisation or business involved in the delivery of leisure, tourism, visitor attractions or hospitality who has had a positive effect. The Cheltenham Education Award: This award is open to any education establishment or individual involved in the delivery of learning to any age group. The judges will be looking for a proven track record of success and inspiration of pupils with innovation, creativity and motivation both in and out of the classroom. Hair, Beauty and Wellbeing Business of the Year: Open to all beauty salons and organisations who aim to improve the community’s health and wellbeing. Cheltenham Bar/Pub of the Year: This award is for a special watering hole which can demonstrate recent achievements and commitment to Cheltenham. Café/Coffee Shop of the Year: Similarly, this category is for a special café most loved by the people of the town. Cheltenham Restaurant of the Year: While this award is for a stand-out restaurant. Cheltenham Family Business of the Year (Sponsored by Willans LLP solicitors): This is for a family firm with a strong heritage and values. Cheltenham Business of the Year (Sponsored by Heather Resource Management): This award is all about honouring those firms who have made a great difference to the town’s economy. Then, as the awards ceremony’s high point, The Cheltenham Champion of 2018 will be named from the winners of these categories and presented by Lillian Faithfull Care. Find out more, or enter now, here. But hurry, entries close on 9 July.